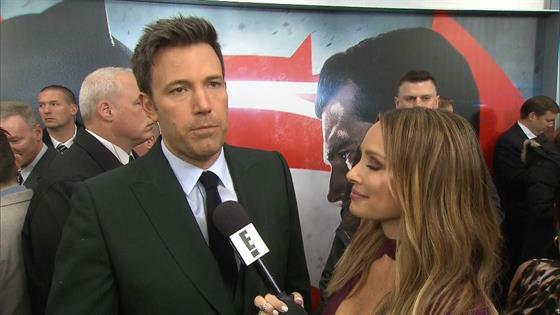 Ben Affleck Calls Jennifer Garner a "Superhero Mom"
It's been nearly two years since the Daredevil co-stars jointly announced they were separating after 10 years of marriage. And on Friday, multiple reports claimed Garner is finally ready to file for divorce. But is she really? "Their relationship is very fluid and nothing has really changed," a source says of the actors. "They have been working at their relationship for the past few years." From the beginning, the exes have been committed to co-parenting daughters Violet Affleck, 11, Seraphina Affleck, 8, and son Samuel Affleck, 4—and they've done it so well that their relationship status often confused fans. "There have been times when a reconciliation looked very likely," the source says. "They love each other and that hasn't changed. But it's unclear what the future holds for them." Regardless, they will remain on a "united front" and will "always prioritize the children" above all else. "The spirit of their relationship has not changed." Ben continued to live on the family's property post-split, and the source says it remains his primary residence. "Regardless of their relationship with each other, they will always protect the kids and spend time together for them," the source adds. "Their goals remain the same." In fact, the actor sang Jennifer's praises while talking to E! News' Catt Sadler last year. "Jen is a superhero mom. She is an amazing mother and I'm really lucky to have her as a partner to co-parent these kids with," the Batman v Superman: Dawn of Justice admitted. "We try our best." Which is all to say their "modern family" (as Jennifer once called it) will remain intact, even if she does files for divorce. "There wasn't a big blowout," the source says. "It's a fluid situation."